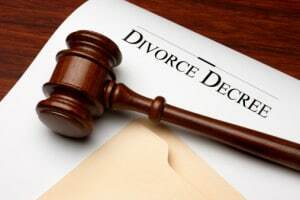 Divorce is a difficult time for both partners involved and the issue of a family home “buyout” can add to the stress. Each party bears a certain amount of risk; the purchaser risks the financial stretch of single ownership and the seller risks losing future appreciation on a long term investment. Understanding the true value of your home is crucial for both spouses to hopefully avoid additional disputes as well as come to an agreeable settlement quickly. Pinelands Appraisal, Inc. has been a trusted partner to Family Law practices through out New Jersey. In an area where there are possible disputes regarding property value, Pinelands Appraisal, Inc. can offer a third party unbiased opinion regarding the true market value of a home. And, because all our appraisers are state certified we have no restrictions on the type of property we can appraise such as land, primary residence, investment properties and million dollar plus properties. Pinelands Appraisal, Inc. provides fast, accurate and well supported appraisals for most litigation purposes. Please feel free to Contact Us for a free consultation on how we can help with your real estate appraisal needs during a divorce settlement.